Last edit: 2 years 1 week ago by Mark-McG. Please use the 75 Command Card deck as the standard for the tournament. 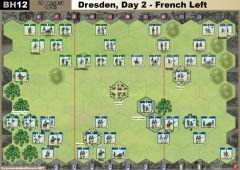 Prussian opened up hot with a Bayonet charge, and opening roll swept a French line away. 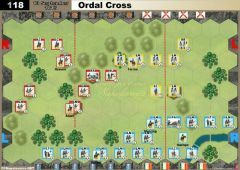 Grenadiers pushed the French out of Athies, and a Prussian Line grapped the Centre hill and nearly cleaned up the LT. French manged to put away one Prussian Line who pushed too hard, plus his leader (von Preussen), and the Militia Lancers disappointed again and couldn't even retire properly and paid the price. Otherwise it was a pretty clinical destruction of the French Right, followed by a charge up the centre to grab the last banner. Both French artillery were Short Supplied. Last edit: 2 years 6 days ago by Mark-McG. Early game saw my left eliminated by the aggressive Brits. 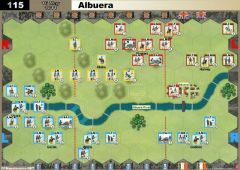 I was fortunate enough to have a decent cards on my right flank to take out most of the Spaniards as the fought to secure the fortified hill. Midgame the fight switched to the center where the French came close to defeat but managed to hold off long enough to squeeze out a win. A really fun game and hard fought battle. Enjoyed watching this game. First time I've ever seen this scenario. One Q though. 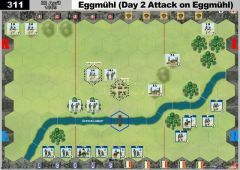 The British LN on their right flank used tactics defensively twice in the same turn (Inf Com 1st, and then Battle Back Bonus). Is this allowed? I thought only one TC per Leader/Unit per turn. Don't think it would have affected the game, but just wondering. Last edit: 2 years 5 days ago by Bangla. Reason: Added last sentence. Bangla wrote: One Q though. 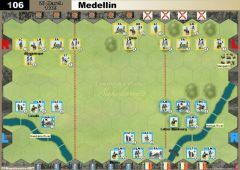 The British LN on their right flank used tactics defensively twice in the same turn (Inf Com 1st, and then Battle Back Bonus). Is this allowed? I thought only one TC per Leader/Unit per turn. That is correct, it isn't allowed, and looking at the event, the 2nd card +1 Battleback gave an extra 1d, and as chance would have it, the 3rd die was the miss (the other 2 hitting). So no real effect. 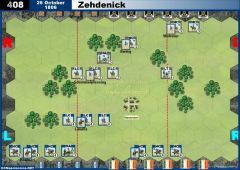 There was also an earlier error when the Rally card was played, the LT moved into the forest, and then fired 3d uphill.. that scored 3 hits and eliminated an English unit. So I'd say the French did better out of this. Last edit: 2 years 5 days ago by Mark-McG. 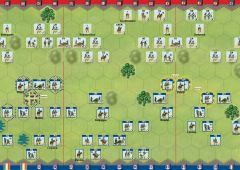 French avoided any contact on left and slowly ground forward on right, taking the hill and breaking the flank with minimal losses. 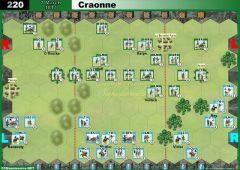 Excellent French cards and poor Russian dice doomed plainscape, Town switched hands with the loss of 2 Russian units there. Do I get an extra banner? 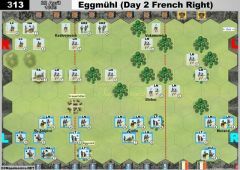 Initial moves in the centre by the French were smashed by British firepower, and the French soon found the easy path against the Spanish flank. 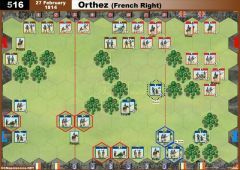 French advances, particularly by the cavalry were unstoppable and untouchable. 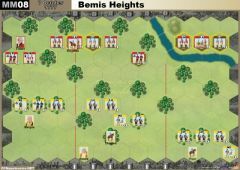 In as the end approached, the English came off the hill to charge the French centre, used the Guerillas to double move and a Bayonett charge managed to take the final banners. 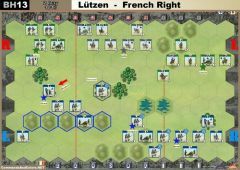 Allies were pretty lucky with leader kills, killing just 4 French Line and 2 leaders. Lucky to win this one.